A closely watched prediction of leading Nobel Prize contenders has singled out the Arctic Council as an example of how to block polarization. There are 304 candidates for the 2019 Nobel Peace Prize. Is the Arctic Council again one of them? Unless it is named as the winner on October 11, we may never know for sure. The Norwegian Nobel Committee, which vets nominations, does not announce who the nominees in a given year were, and access to the material that formed the basis of its decisions are kept secret for 50 years or more. Nominators and nominees can — and often do — spill the beans. 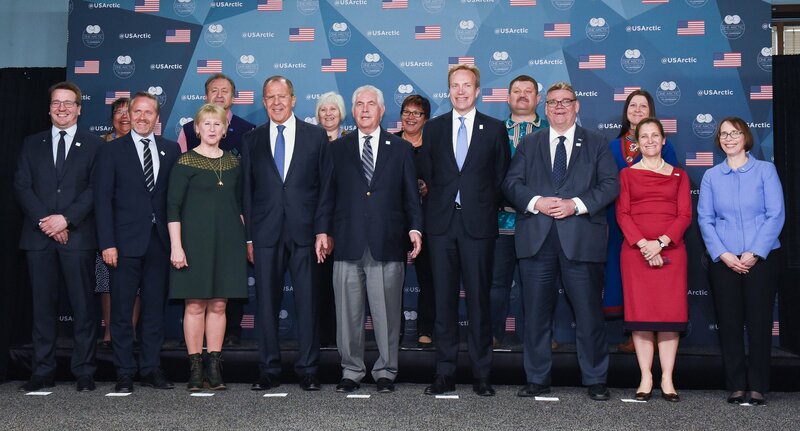 This is why we know that Donald Trump is on the list for a second time, and it is also why we know that 60 academics specializing in the region put forward the Arctic Council as a nominee, arguing that it deserved the award for “promoting and maintaining peace and political stability in the rapidly-changing Arctic region”. She didn’t rule out nominating Arctic Council again at some point, but said it would require a “worthy event”, along the lines of a summit of leaders of Arctic states, which Sauli Niinistö, Finland’s president, had been working for during Finland’s current Arctic Council chairmanship. Did someone else take a different approach and nominate the council this year? Although no public announcement has been made, the Arctic Council has been short-listed as one the five personal leading candidates to receive the award this year by Henrik Urdal, a Nobel Peace Prize insider and the head of PRIO, an Oslo-based peace-research institute. The organization is not included on PRIO’s list of nominees submitted before the January 31 deadline, though it admits that its list is unconfirmed and incomplete. However, even if no one did nominate the Arctic Council, it can still be put forward by one of the five members of the Norwegian Nobel Committee. Urdal himself is entitled to submit nominations, but declines to do so, given his active role in commenting on the prize and short-listing nominees. How is his track record? His first list, in 2017, had a nominee in the right ballpark (Mohammad Javad Zarif, the Iranian foreign minister, and Federica Mogherini, the EU’s foreign policy representative, for their efforts to broker “a peaceful and successful resolution of the Iran nuclear dispute”) but the winner went to the International Campaign to Abolish Nuclear Weapons, which PRIO had confirmed as a nominee, but not a front-runner. Last year, he was partially right, suggesting that Denis Mukwege and Nadia Murad, activists working to end the use of sexual violence as a weapon in armed conflicts, and Tarana Burke, who began the “Me Too” movement against sexual harassment and assault in 2006, were amongst the leading candidates. The award eventually went to Mukwege and Murad. A spokesperson for the Arctic Council said it was aware of the shortlist, but reiterated PRIO’s caveat that being mentioned neither confirms that a candidate has been nominated, nor does it have any bearing on the committee’s selection. Citing the Norwegian Nobel Committee’s request not to divulge information about potential nominations, it declined to comment further, though it did offer a cryptic statement from Aleksi Härkönen, a Finnish diplomat currently serving as chair of the senior Arctic officials, the high-level civil servants who represent member countries.